Winter Reading Challenge at HRLS! Start your new year with a commitment to reading! The Youth Services at Handley Regional Library System began their 2019 Winter Reading Challenge on January 1st and continues all through the month. Parents and youth can sign up through the HRLS Website by following the “Winter Reading Challenge” link, or by clicking on the Beanstack picture below. If you signed up for the summer reading, click on “Log in” at the top right and you’ll find your profile where you can update ages and school information for each child, then sign them up for the Winter Reading Challenge. Participants can download the Beanstack Tracker App on their iPhone or Android to keep track. It’s like a Fitbit for reading! 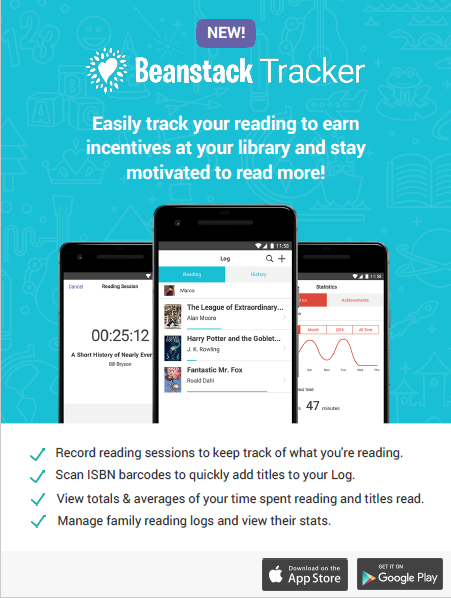 Time reading sessions, log books by scanning ISBN numbers, keep a log of current and past reading, track daily reading stats, achieve streaks for reading multiple days in a row, and earn online badges. In addition to the tracking app for adults and older children, we have log sheets for the kids so they can help track their progress and earn stickers. Stop by the Bowman, Clarke County, or Handley Library to pick up a reading log and stamper, or download them by clicking on the links to the left. Pre-readers (pictured with the deer) receive a special sticker for every 10 books read, and a finger puppet prize for every 20. Independent readers (pictured with the moose) can earn a sticker for every 5 hours read, and a finger puppet for every 10 hours. 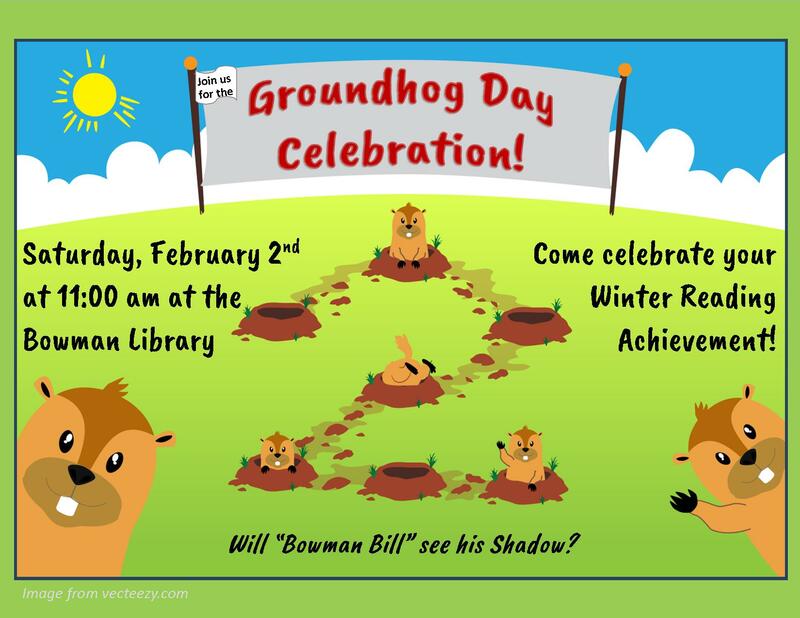 Set your own goals, then join us at the end of the program for Groundhog Day at the Bowman Library to receive your completion certificate!